It is not new, that we will get a new Dozer in 2009. 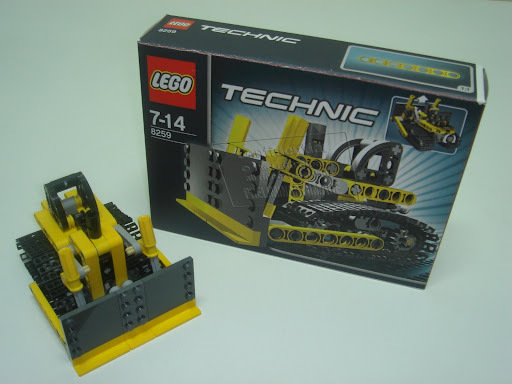 Not as big as the 8275 in 2007, but instead a very small and cute model this time (in the style of the small yellow machinery, that we are used to, in the TECHNIC theme). Don't know exactly why, but it seems some got crazy with it and took themselves the challenge to reverse engineer it. In fact the model is really appropriate for such challenge. It is small/big enough, nice looking and at the same time the initial available image hidden enough details to make it a real challenge for the most experienced. Because I've been following this from the 'back stage', can tell you which came-up first. 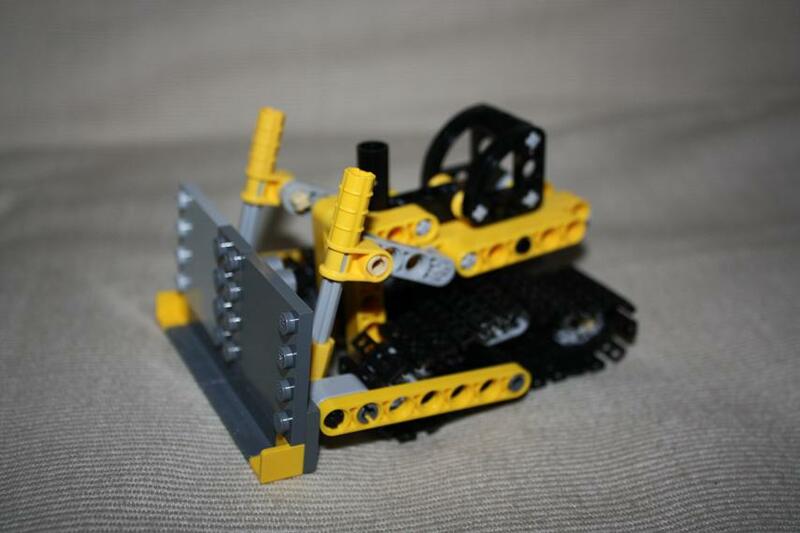 - Martyn Boogarts, from Duiven/The Netherlands (contributor to 'The NXT STEP' blog and member of the MINDSTORMS Users Panel - MUP2), made the first Dozer replica very early, from one single picture. In addition to the set replica, you can see also a blade motorized version of it (amazing for the scale). - Mike Hatton (Parax) from Nottingham/UK, later made also his own interpretation, with minor differences (most likely due to stock availability constrains). See more of these here. - And finally Alexandre (AVCAmpos) my co-blogger from Lisbon/Portugal, came with his interpretation and also made some animated stepwise instructions (see more here). Want a full view around the real model? See it on the previous Photosynth post. AVCampos model should use this for attaching the blade. It is a guess work. So errors may occur. That's great, that Monster Truck reproduction Anio. For this model, it is the first I see! If you want, you can use these pictures in an article (tell me if you want others photos, because those I did are actually not very good :s). 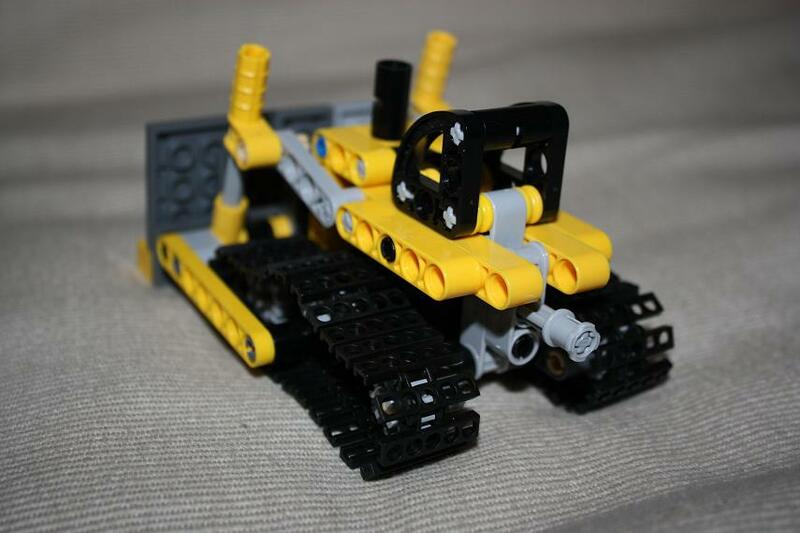 I'm actually not planning a similar post for other models, like I did for the Dozer. At least for this sets season. Dozer was somehow special, being the smallest model, the last to be revealed and some other circumstances not needed to comment here. Anyway, if I change ideas, I'll tell you. @ Anonymous: arrgh, you're so right! How could I have not seen it wouldn't properly attach to the blade?! That's the problem of doing things in software only, without some good ol' bricks to work with. Thanks for pointing out the problem; it is solved at my Brickshelf folder, and awaiting moderation. @ anio: great work! The bonnet isn't completely like the original (it uses Bricks 2 x 1 x 1 & 1/3 with Curved Top), and there's general consensus that there's a 9L axle missing somewhere behind the cabin. But those are just minor quirks on a model that looks and works just like the original, congratulations! Yeah ! I don't not have the right pieces for the bonnet. Of course, i don't have any grey 9L axle (you understand that I don't want to cut those I have on my 7191 :p). So, I put a black 8L axle. I don't have any photos to built the kart, especially for the rear of it. A new TECHNIC axle to come? 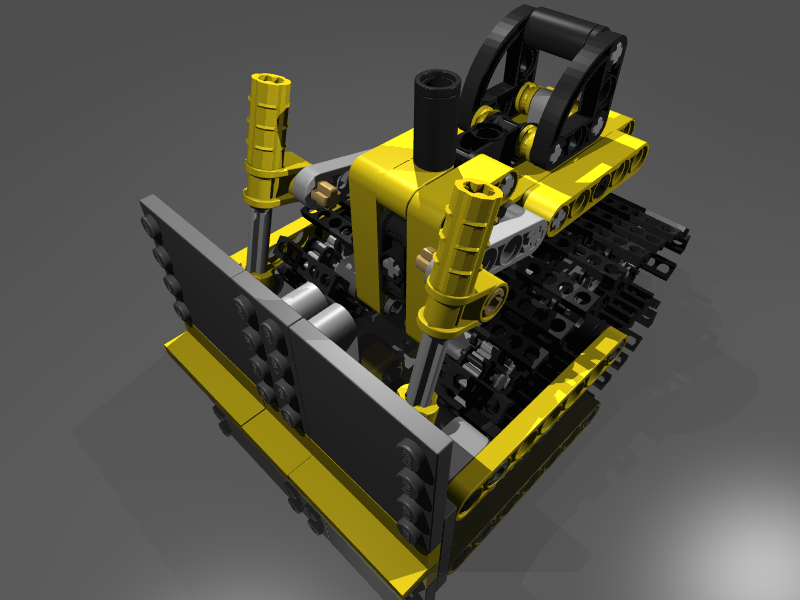 It is a new sort of TECHNIC beam indead!